Works with all carrier EXCEPT Tracfone. 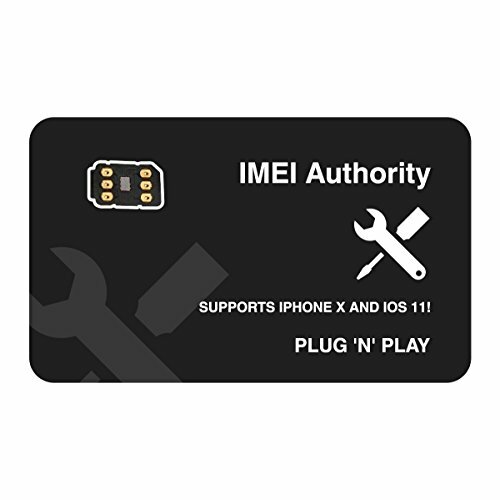 This IMEI Authority Sim will unlock iPhone's from most major carriers. Plug'N'Play! Unlock all iphone model--- iPhones 5,5S,5C,SE,6,6S,6 plus,6s plus ,7 ,7 plus , to help you get all carrier's GSM or WCDMA(3G). 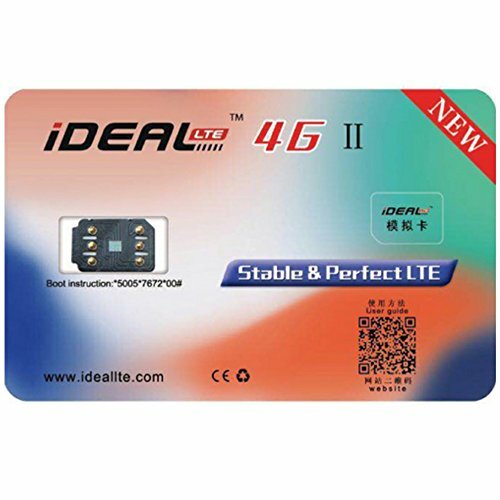 LTE-FDD(4G) network services. True "Plug n Play" , All you have to do is insert ideallte sim with your mobile sim and wait 10 seconds. 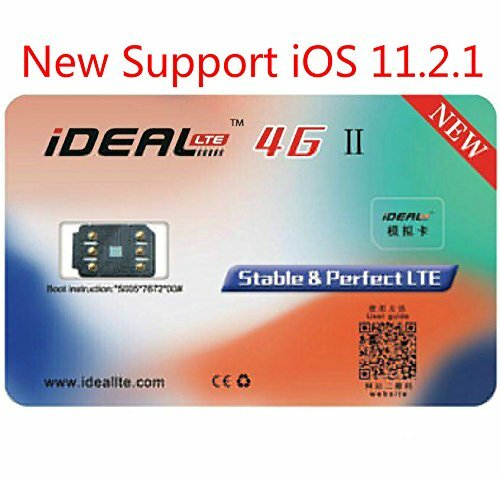 Manually operate to unlock Cricket, Virgin, CGI carrier iphone to get all carrier's LTE-FDD(4G) network. the manual unlock operation process is very simple. 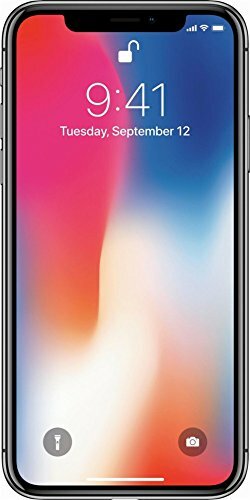 Automatically Unlock T-mobile, AT&T, Verizon carrier iphone to get all carrier's LTE-FDD(4G) network. It Can Unlock your T-mobile, AT&T, Verizon from any country . It Will Not work on tracfone/Straight Talk/MetroPCS iPhones nor Consumer Cellular iPhones. Most Carriers Supported,Most Country Supported! 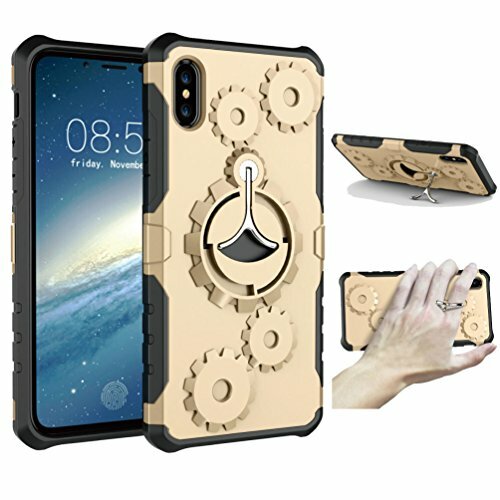 Qi COMPATIBLE MILITARY GRADE IPHONE X CASE: New Design Compatible with iPhone X 2017 Release, meet military-grade drop tested, SUPPORTS WIRELESS CHARGING. 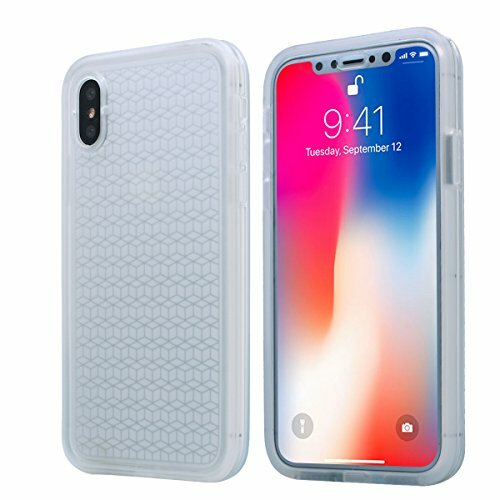 OUTER ENCLOSURE HARD SHELL: Enclosure hard shell constructed from impact-resistant polycarbonate and double-enforced with a shock absorbing silicone inner-sleeve; Corners feature double-thick silicone for outstanding protection against drops and other impacts. MULTI-FUNCTIONAL BUILT-IN KICKSTAND: Built-in Kickstand can be pulled out from the case and be changed the angles free to give you a hands-free viewing; Also can be used as a Phone Ring Holder, allows you to experience your phone in a brand new way. BUILT-IN TOOTH STRUCTURE FOR SPORTS ARMBAND: Internal tooth structure increases the resistance to keep the phone on the sports armband firmly. PRECISE CUT AND DESIGN: Easy access to all ports, sensors, speakers, cameras and all iPhone X features. 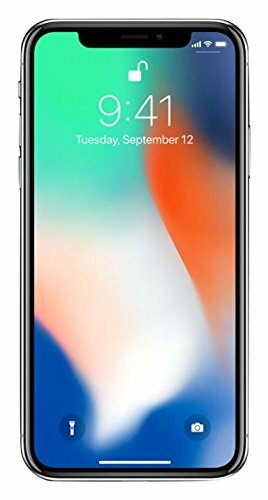 Classic Sophistication Meets Stylish Design Your iPhone X is your lifeline to the world. 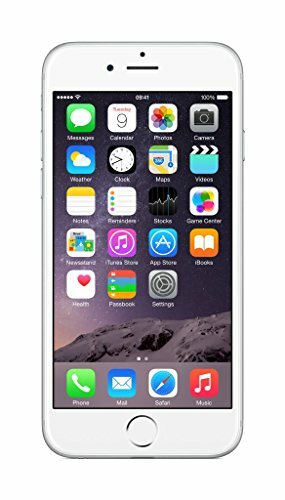 You use it for texting, phone calls, FaceTime, and a plethora of school, work, or organizational apps. That's why it's important to keep it safe and protected with the iPhone X Heavy Duty Case. Offer unmitigated access to all your lightning port, headphone jack, and power and volume buttons, our sure-grip ribbed trim is the best iPhone X cover on the market. Compatible With :Apple iPhone X 5.8" 2017 ReleaseProduct Details: -Dual Layer Hybrid Protection -Multi-functional Bulit-in Kickstand which also can be a iPhone X Ring Holder -Internal tooth structure increases the resistance to keep the phone on the sports armband firmly -Textured Sure Grip Ribbed Trim -Hard Corners for Shock and Drop Protection -Complete Peripheral Access Package Included: 1 x iPhone X Case Bulit-in Kickstand Ring Holder (NOT INCLUDE A SPORTS ARMBAND) Warranty: If there are any non-artificial product issues about our cases, please contact us immediately. We will reply to you in 24 hours,and make every effort to help you. 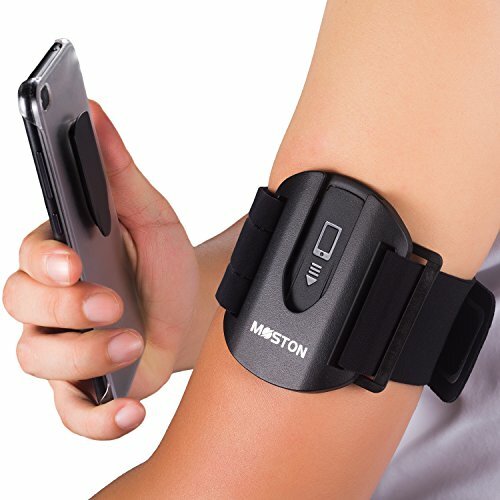 UNIVERSAL COMPATIBILITY -- This cell phone armband perfectly fits with iPhone X/8 7 6 plus/8 7 6/5 5s SE, Samsung Galaxy S8 S7 S6 S5, Note 5 3, Lg V20 V30 G6 G5, Moto z G5 G4, Nexus 6p, Pixel 2, HTC, and other devices that have a screen from 4" to 5.8" without bulky cases. 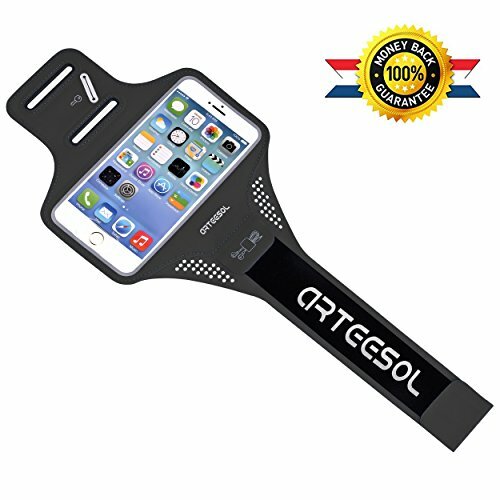 PREMIUM MATERIAL -- ARTEESOL waterproof running armband is made of breathable and elastic Lycra and eco-friendly Neoprene which is able to twist, bend but not stretch out of shape. It is ultra slim, soft and lightweight for comfort and convenience during fitness. The TPU materials is touch sensitive to enable full touch screen function. ADJUSTABLE SIZE -- The cellphone holder pouch contains double adjustable Velcro band. It can tightly fit any arm size from 8" to 16" (20.3cm to 40.6cm). DETAIL DESIGN -- The slim exercise armband is designed with built-in hidden key, headphones and card holder. There are also charging port and headphones port holes for easy access. The fluorescence strip is designed for reflecting light to ensure safety at night. 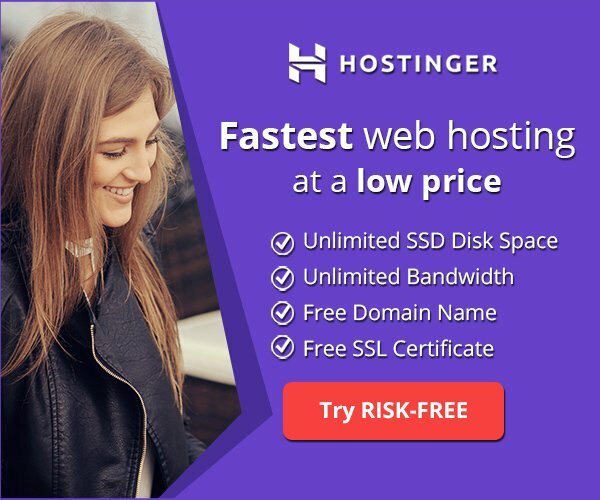 1 YEAR WARRANTY -- We provide you with 1-year Manufacturer's warranty and 30 days no question asked refund or return guarantee. If you have any complaints with the purchase, feel free to contact us and we will solve your problem within 24 hours. Don't miss a beat while you're on the move with the Arteesol Armband iPhone 7,7plus, 6, 6s plus,8,8 plus, x, The days when you would go out to jog, bike or do a gym workout while worrying where to put your gadgets and small items are now over. 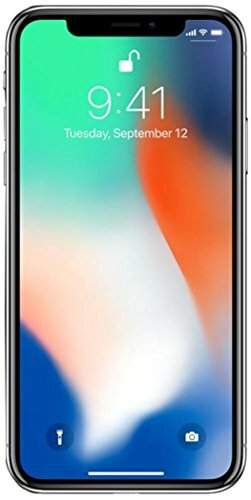 Get convenient access and safe storage for essential items such as: $ iPhone 7 , 6 , 6s plus, iPhone 8, 8plus, x, Samsung galaxy s7, s8, lg v20, v30, g6, g5, moto, nexus 6p and other devices within 4"-5.8" $ Car key $ House and locker keys $ Cash $ Credit cards $ Business cards Whether you love staying indoors, or prefer to be outdoors, you can use the armband for: ✈ Gym workouts ✈ Taking a walk ✈ Jogging ✈ Running ✈ Hiking ✈ Climbing ✈ Biking ✈ Gardening ✈ Cleaning house Our iPhone sports Armband is packed with all the extra touches you need: ● HD transparent PVC filter for easy phone access ● Dual slot adjustable Velcro fastenings to fit small or large arms ● Headphone and charger cutouts that allow direct phone access ● Lightweight and stretchable Lycra for comfortable movement ● Waterproof Neoprene for a cool and dry feeling even while you sweat ● Three mesh areas for your skin to breathe and stay dry ● Lifetime product replacement to guarantee your satisfaction Package Includes:1 x Running ArmbandPlease note that the armband fits devices without bulky cases. Make sure to take off the case when you put you cell phone in the armband. 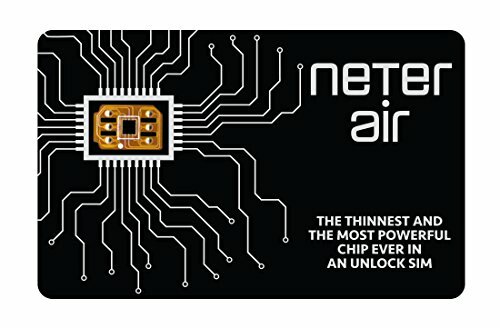 This Neter Air Sim will unlock and iPhone locked most major carriers. Very simple, no programing or software necessary. TRUE PLUG'N'PLAY. New updated version 2.0 software. Heavy duty protection. Ultra updated German PET flat screen protection, giving you full functionality and more smooth touch for the touch screen. A new innovative design fitness armbands to mount your phone with a simple slip-lock just within a sec,fast,convenience,one-handed operation for man,women,kids. A great Ideal for accessing to music,taking picture or video,or tracking your fitness via apps when stay temporarily,also never missing a phone call or text message in time. Compatible with any phone case which has flat,non-rough surface,Suitable for Apple iPhone 7,7 plus,6,6S,SE,5,5C,5S,4S and Galaxy S8,S7,S6,S5,Note series,Google Pixel,LG,HTC,etc...,any other android phones. Mount the adhesive arrow plastic plate on your existing phone case in the right place(follow the attached diagram),than slide into the holder to fix the phone, or slide out of the holder as unfixing. Fully adjustable nylon Velcro armband can fit any arm size with circumference 17-38cm or 6.5-15 inches,Highest Quality,Soft touch,odor-free and lightweight,which is made To flex,twist and bend during all activities.